Hotels are notorious for legends of ghosts and apparitions. The older the property the more likely that grizzly events have left a scar on their eerie corridors, grand ballrooms, or creepy quarters. It seems in every older hotel at least one spirit dwells within its walls leaving guests frightened out of their wits as they lay vulnerably comfortable in their strange beds only to be startled by noises or the feeling that someone just lay down beside them when there is no one there. Of all the hotels in the United States this list is the ones who have the most activity and the most reports of paranormal occurrences leaving guests wondering just whom it was they checked in with. The house is named in honor of Brigadier General Elon John Farnsworth, who led an ill-fated charge after the failure of Pickett’s charge, claiming the lives of Farnsworth and 65 of his men. The original part of the house was built in 1810, followed by the brick structure in 1833. 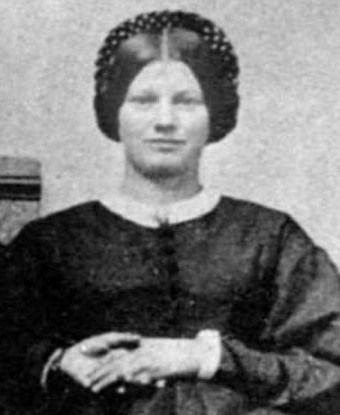 The house sheltered Confederate sharpshooters during the three-day conflict, one of whom it is believed to have accidentally shot 20 year-old Mary Virginia “Jennie” Wade, the only civilian who died during the battle. More than 100 bullet holes pock the walls. Following the battle, the house served as a hospital. The Farnsworth House hosts one of the longest operating ghost tours in the nation, starting 30 years ago guides take guests deep into the cellar of this famously haunted inn as well as to local sites and graveyards in the historic downtown. Click Here to learn more about how you can tour this historic estate! 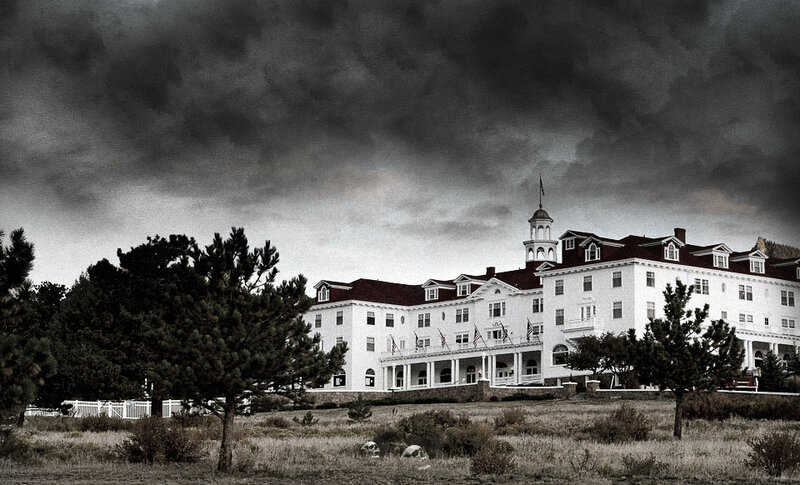 The haunting beauty of the Stanley Hotel had a major effect on Steven King as his one night stay inspired the work of his first best selling and most famous novel The Shining. The haunted occurrences that have taken place in this hotel have become world renown, even affecting Jim Carrey who checked out and refused to return because of the hotels chilling ghosts. One of the most common experiences guests have is in room 217 where suitcases have been unpacked mysteriously by an unseen helper, presumably the spirit of a long deceased but still devoted employee of the hotel. Salem Massachusetts has more than its fair share of paranormal occurrences due to its dark past with the Salem witch trials as well as clashes of soldiers during the Revolutionary war, but none has them more frequently than the Hawthorne Hotel. 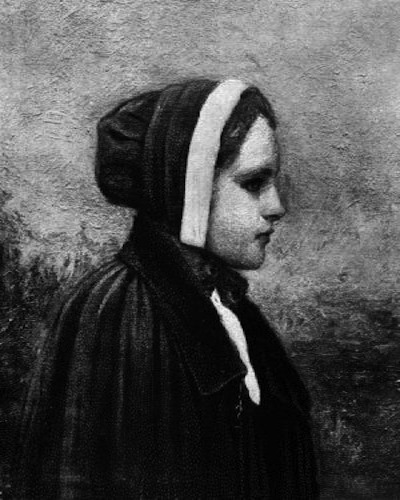 It was on this property that was located the apple orchard of Bridget Bishop, the first woman accused and executed for being a witch in 1692. Strangely many guests often experience the smells of apples even though no source of the aroma could be found. Room 612 is reportedly one of the most haunted locations in the hotel. The apparition of a woman has been seen to wonder the halls outside the room, often pausing in front of the door. In the room itself guests have often complained about an uneasy feeling as if someone was sharing the room with them. In room 325, there have been several reports of lights and faucets turning on and off of their own accord. There’s also been reports of a baby crying in distress, and feeling of being touched. With such a varied and intriguing past it’s not surprising that the Queen Mary is considered one of the Top 10 Most Haunted Places in America. Once a luxury liner whose maiden voyage set off in 1936 she became a troopship during WWII. In 1947 she was transformed back into a luxury liner until her final trip on Oct 31, 1967. As many as 120 spirits are known to be walking around this historic vessel which now serves as a floating hotel. From dignitaries, captains, soldiers, and porters, you never know what invisible presence you may encounter. First opening for business in 1893 the history of the Congress Plaza hotel mirrors the growth and impressive influence of Chicago itself. Hosting US presidents and many notable dignitaries, the Congress Plaza is a testament of the Windy City’s hospitality. In addition to its part in national politics, the hotel has also been the backdrop for ghostly lore about shadow figures, disembodied voices, even a few workers reporting seeing a mysterious man with a peg leg vanishing behind corners. Both Al Capone and the infamous serial killer H.H. Holmes have lingered around the hotel, some saying that Holmes would meet his victims at the hotel before taking them back to his elaborate Chicago murder castle. There are many notable rooms which have a large number of reports of ghostly activity. Security is called to room 441 more than any other room as guests become frantic after seeing the shadowy outline of a woman. Legend has it that one the 12th floor is a room so rife with paranormal activity that it was fastened shut from the outside never to be opened again. The most active room in the hotel seems to be that of the Florentine Room, a grand ball room where many strange things have appeared in photographs, disembodied women whispering, phantom gunshots, humming, even the piano playing itself. When this Victorian beachfront hotel first opened in 1888 it was the largest resort in the world. Through the years it has hosted presidents, royalty, and celebrities, but has also been known to house one particular unworldly spirit named Kate Morgan. It was on November 23, 1892 alone in her room on Thanksgiving that Miss Morgan would become the most talked about person in the history of San Diego. Distraught, she waited five days after her husband left, abandoning her after learning of her pregnancy, before she decided to end her own life. Since then guests through the years have reported many occurrences such as flickering lights, a television that turns itself on and off, breezes coming from nowhere, inexplicable scents and sounds, items moving of their own accord, doors that randomly open and close, abrupt changes in room temperature, and unexplained footsteps and voices. Though these strange happenings have been witnessed in many parts of the property, it is her third floor room where they happen the most. This 1895 upscale Hotel can be found on Main Street in the historical downtown section of Deadwood, South Dakota. Deadwood itself is wildly known for its past which is riddled with interesting characters of the old west who called this gold rush community home such as Wild Bill Hickok and Calamity Jane. But no character is more ingrained within the history of Deadwood as that of Seth Bullock, the town’s first sheriff. On his second day in town he deputized a team of men and brought crime out of business. He was described as a steely eyed man with a stern and tall demeanor. He originally built the Bullock Hotel in 1894, but after a fire destroyed it, it had to be rebuilt. Undaunted the task took only one year and is the building that still stands to this day. In 1919 he died in his room, number 211, and many guests can confirm that he has never left. His presence is felt mostly by the employees, especially ones who are standing idle or whistling a tune instead of working. Even in death his strong work ethic continues to keep a watchful eye on his prized legacy. So many paranormal events have happened in this historic hotel the front desk keeps a separate ledger for guests to report activity they have experienced while staying at the property. Entries in this log are numerous and some are down right chilling. Inspiration for the ghostly ledger came several years ago when a hotel manager was working at the front desk one night and clearly saw a shadowy figure in a white dress reflected in a mirror in front of her. Shocked when no one was there to have caused the reflection, she became curious if others had similar experiences. The most haunting entry in the ledger is from a guest who reported seeing the figure of a small child smiling up at them from the closet in their room. Another commonly reported occurrence is the ghost of a man who follows select guests throughout the property the moment they walk through the doors. It can’t be coincidence the number of strangers unknowing of the others accounts that have reported this creepy entity. Many stories account for the haunting of this hotel. From jilted brides to sickly children, the biggest repeat haunter is the city’s very first chief of police, who was gunned down in the alley in 1921 with his own piston and whose killer was never caught. For these and other stories of Anchorage’s haunted history, check out Ghost Tours of Anchorage as part of your Alaska adventure! This decadent hotel which was built in 1888 was described in the February 1904 issue of Munsey’s Magazine as “the richest, the most exclusive, the most inaccessible club in the world.” Its impressive members included such luminaries as Henry Hyde, J.P. Morgan, William Rockefeller, Vincent Astor, Joseph Pulitzer, and William K. Vanderbilt. Many ghost stories surround this property, including that of Samuel Spencer whom at the time of his death in 1906 was president of the Southern Railroad Company. Dying in a freak accident as two of his trains collided, he is often seen in early mornings sitting in the veranda of his suite at the hotel. It is not a rare occurrence for one to experience paranormal activity while walking through the antiquated corridors of the historic Crescent Hotel in Eureka Springs. Its haunted history began well over 100 years ago as the hotel was first being constructed in 1884 when an Irish stonemason named Michael crashed to his death in what what is now room 218. Known as the “Grand Old Lady of the Ozarks,” the hotel was built as a refuge for those seeking the healing waters that flow from beneath the mountains in the area. The hotel has seen both tragedy and triumph as guests and residents alike have added to its rich and fascinating history. Have you stayed in one of these properties and have an experience of your own? Share it in the comment section below!